Sepia Saturday has suggested that we explore Sisters this week and so my photo of my mother Vera Tansey (on the left) with her younger sister Hilda. 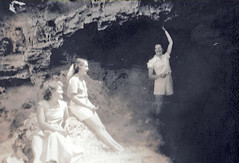 Vera was born in Geelong in 1899 and Hilda fifteen months later. But being so close in age Vera was held back so that the sisters would start school together. 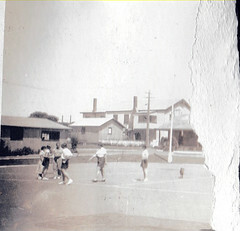 But this lovely photo was taken in 1915 when they were living in Traralgon, in Gippsland. The photo was in postcard form and had been sent to a friend. So how did it come back into Vera’s possession ? Vera has later added 1915 and Traralgon. I believe Hilda had written the original inscription. Who would they have sent it to, someone who Vera would see later in life for it to be returned. Before coming to Traralgon they had been living in Murtoa where they were friendly with Jack Findlay. He had come with them from Geelong to Murtoa but remained behind in Murtoa when they shifted to Traralgon. However he kept in close touch with the Tanseys and later he shifted to Traralgon and married a local girl, Fordyce Brereton. 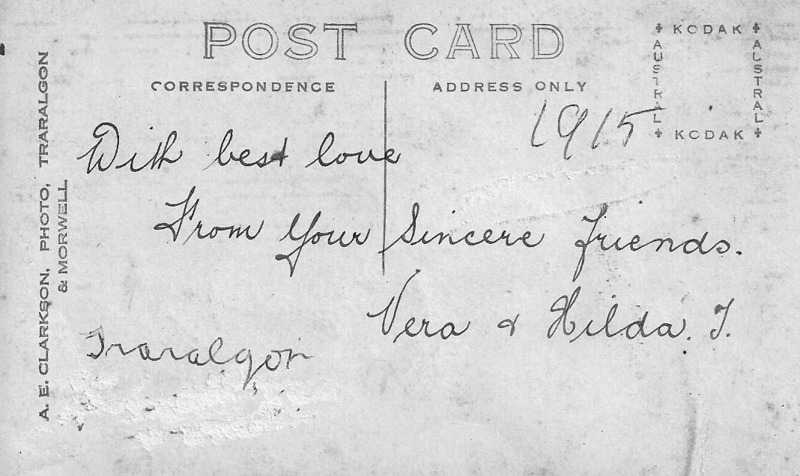 Vera kept in touch with Fordie (Fordyce) for most of her life and I think it highly likely that was how the photo was returned to Vera. 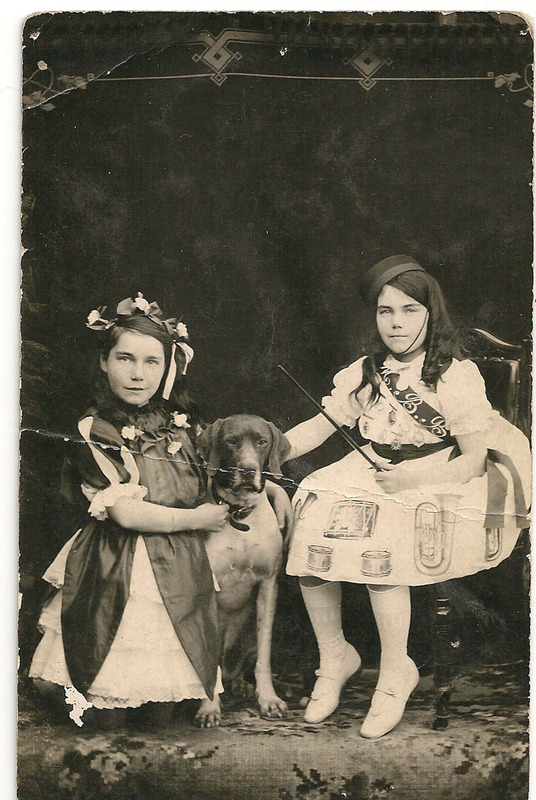 A younger Vera (on the left) and Hilda had also been photographed while living in Murtoa, on this occasion dressed in fancy dress. Murtoa was also the place where Vera suffered from Scarlet Fever and was given daily twenty minute cold baths containing ice, as part of the treatment. Murtoa had recently acquired an Ice Works. 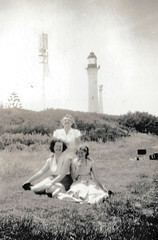 And we can follow the sisters further back to 1902 in Geelong where we have another photo of the two sisters together, this time in a family group. Vera became a traditional housewife, caring for her husband and children. Hilda married three times, was a bookkeeper and was involved with brass bands as player, conductor and teacher. Further examples related to this week’ s Sepia Saturday image can be found on their blog. 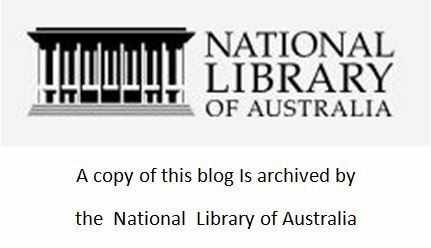 This entry was posted in Family History, Family Stories, Postcards, Uncategorized and tagged 1903, 1915, friend, Geelong, Hilda, Murtoa, postcard, sister, Tansey, Traralgon, Vera on September 26, 2015 by lazycoffees. First comes Valentine’s Day, on February 14th, all sweetness and light …..
And then comes reality ….. 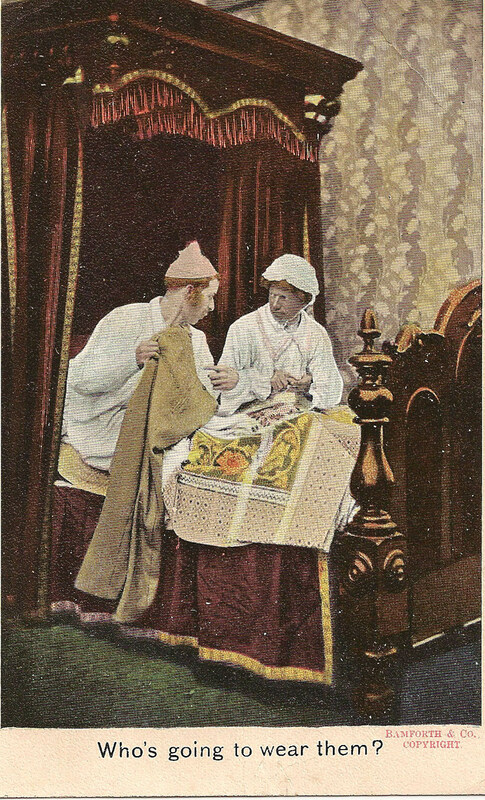 This postcard, from Bamforth & Co, was posted in April 1909. This at a time when women didn’t go out to work, women didn’t wear pants or jeans, and when a domineering woman who ruled her hen-pecked husband was said “to wear the trousers“. Perhaps a modern version would have Who is going to have control of the remote control ? More connections to Valentine’s Day can be seen through the links on Sepia Saturday. This entry was posted in Postcards, Uncategorized and tagged 1909, postcard, trousers, Valentine, Valentine's Day on February 12, 2015 by lazycoffees. This week I begin with an postcard which is showing its age at 111 years and which has some identifying printing on the front, though no message has been written in the conveniently placed blank space. 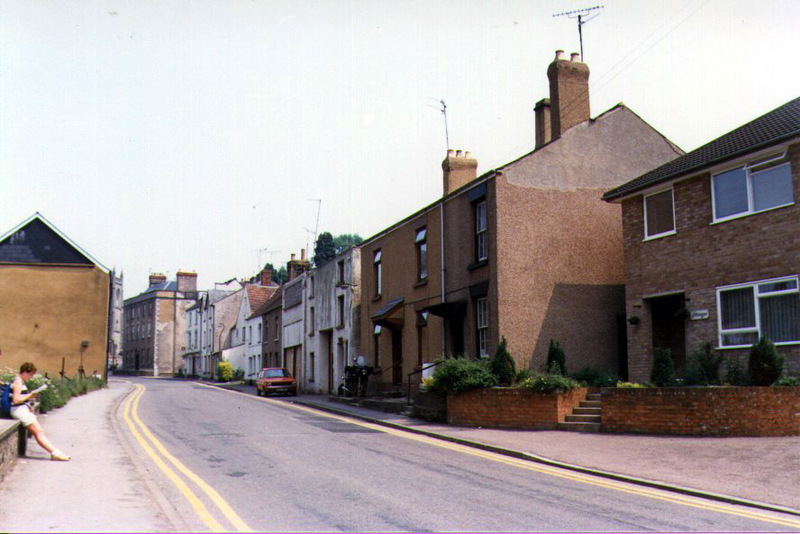 It tells us that it is a photo of Newland St in Coleford, on the edge of the Forest of Dean in Gloucestershire. The printing at the end also tells us that it is one of The Wrench Series of postcards and also has the name Arthur J. Bright, Coleford. Arthur Bright was the Editor of The Dean Forest Guardian. The Powerhouse Museum in Sydney tells us about the Wrench Series. One of the first picture postcard companies which offered British views was set up by a 17 year old teenager Evelyn Wrench. His idea for the company, Messrs. Wrench and Co., began while on holiday in Germany with his parents in 1900. The postcard was in the possession of my great aunt whose mother Eliza Bosley had come to Australia from Coleford in 1863 and the image was provided to me by a second cousin. The card had been posted in Coleford in 1904 to a Mrs Ambery in Williamstown. Friend or relation, I do not know at this stage, but with the help of some clues from Mark Dodd I now have a reasonable explanation of how it came to shift from Williamstown, a suburb of Melbourne, to Eliza Fricke in the mid-Victorian town of Carisbrook. 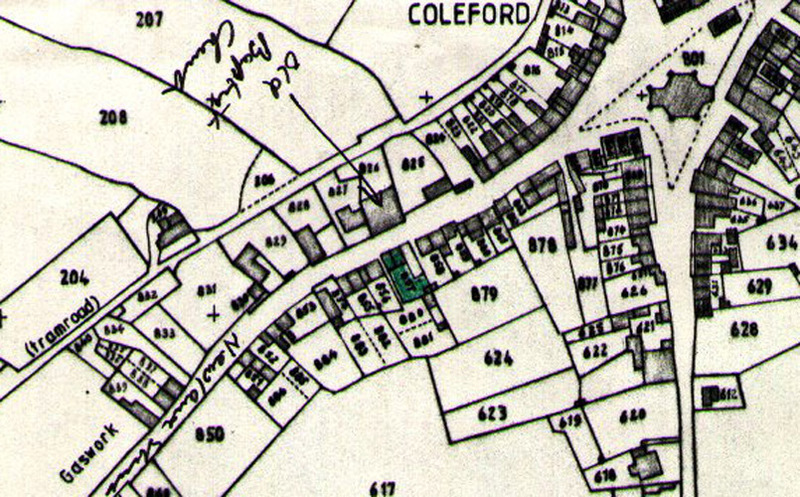 When Eliza was young and living in Coleford her maternal aunt Amelia Baynham and her husband Stephen Aston, living at Five Acres, just to the north of Coleford, had a lodger. It was 1851 and the lodger was William Ambery, a year younger than their son Edward Aston. Eliza would have known these two young men. After all Edward Aston was her cousin. Both boys were to marry and together with their wives emigrated to Adelaide in 1855 on the John Banks. Then both families either together or separately moved over to Carisbrook in Victoria. Edward Aston was to remain in Carisbrook but William and Mary moved on after a while. 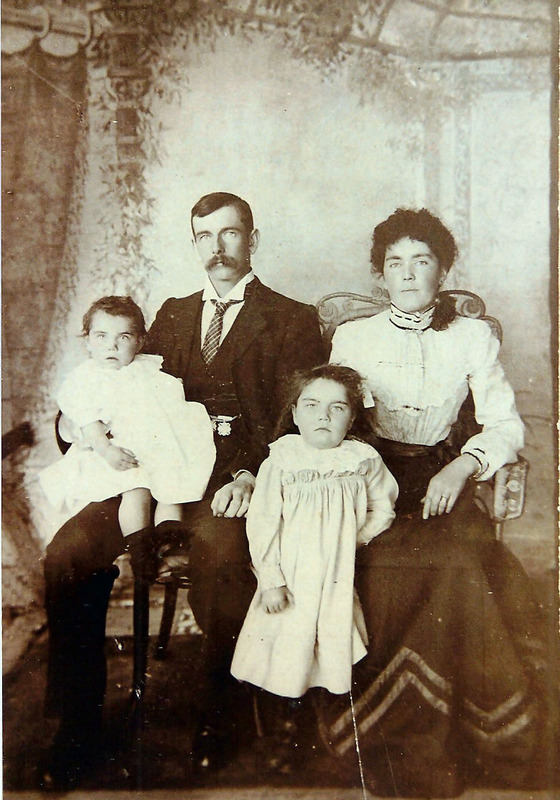 Meanwhile Eliza grew up, lost both her parents and with two younger sisters came out to Carisbrook in 1863 to be reunited with Edward and his wife Ann, and William and his wife Mary. 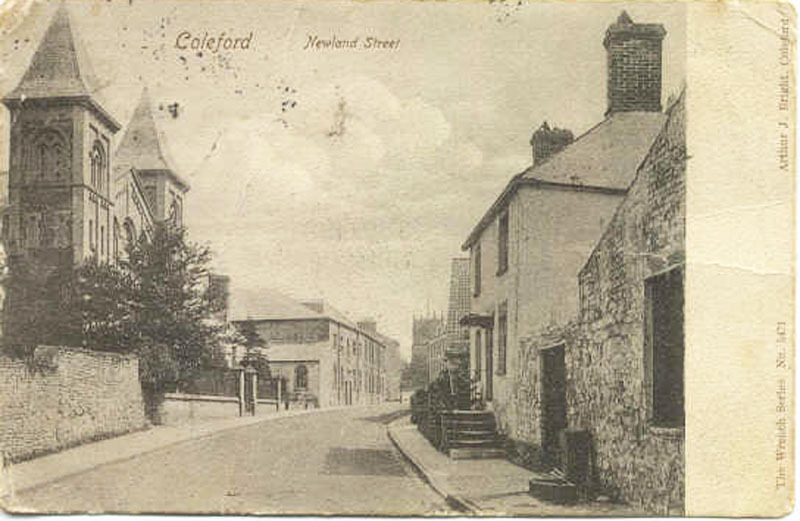 And so it stands to reason that Mary, later on living in Williamstown, would pass on to Eliza a picture of “the street where you lived” which had been sent to Mary – Newland St, Coleford. There is still the question in my mind as to whether or not William Ambery could have been related to his hosts, Stephen and Amelia Aston. Here is a similar view of Newland St taken by my sister in 1986 with someone sitting on the front fence of the Baptist Church, taken before I knew of the postcard’s existence. And why is this particular view of Newland St of interest to me ? 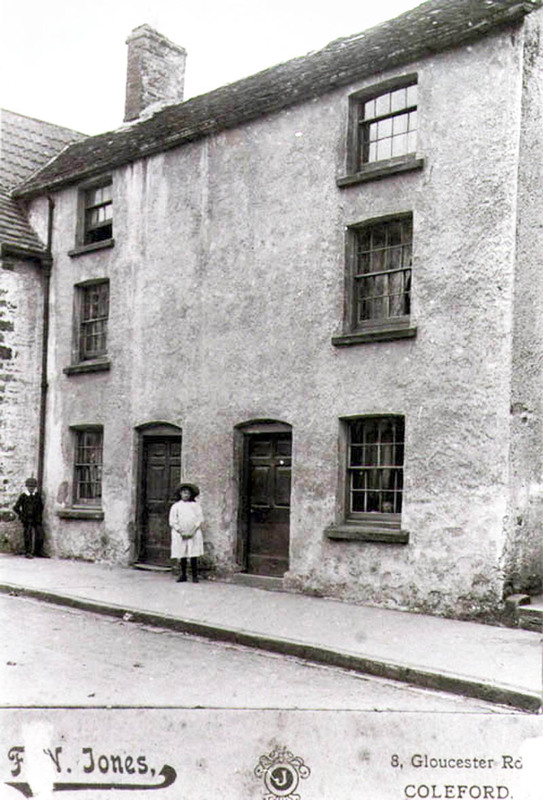 It is because of this next photo which is the house where Eliza Bosley lived in Coleford before coming to Australia and it was somewhere opposite the Baptist Church. Presumably that is Eliza or one of her sisters in front of the house. Two vertical groups of three windows, with the uppermost being slightly smaller. Could this building possibly be the same white house, in the centre of the 1986 photo, with a single doorway replacing the original two doors. It is opposite the Baptist Church, Or is it just my imagination. And so my story comes full circle beginning with a postcard arriving for Mrs Ambery in Douglas Parade, Williamstown. Meanwhile, over at Sepia Saturday people are posting about courtrooms and all things legal, or anything else which takes their fancy. 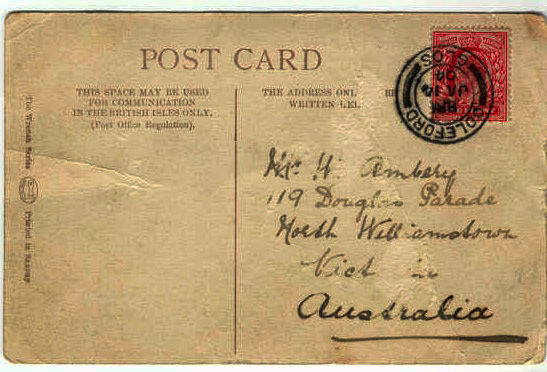 This entry was posted in Carisbrook, Emigration, Family History, Family Stories, Postcards, True Stories, Uncategorized and tagged Ambery, Arthur Bright, Aston, Bosley, Carisbrook, Coleford, Fricke, Newland St, postcard, Williamstown, Wrench on January 16, 2015 by lazycoffees.